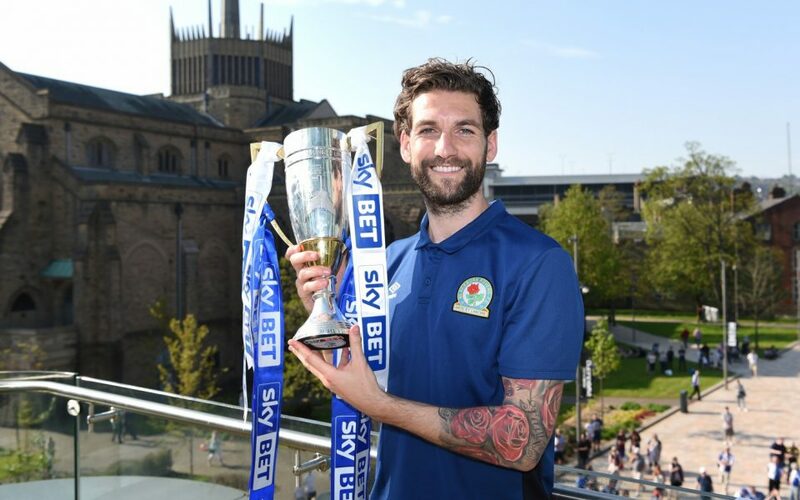 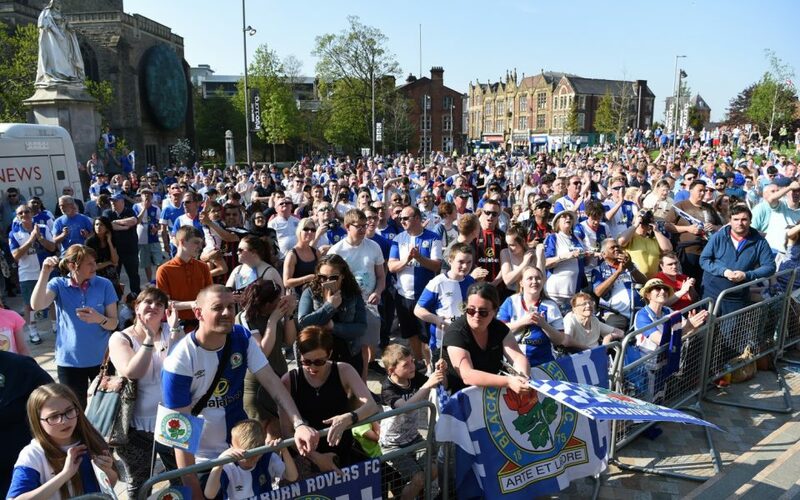 Blackburn with Darwen Council extended the invitation to fans from the borough and beyond to help congratulate Blackburn Rovers following the club’s promotion back to the Championship at the first time of asking. 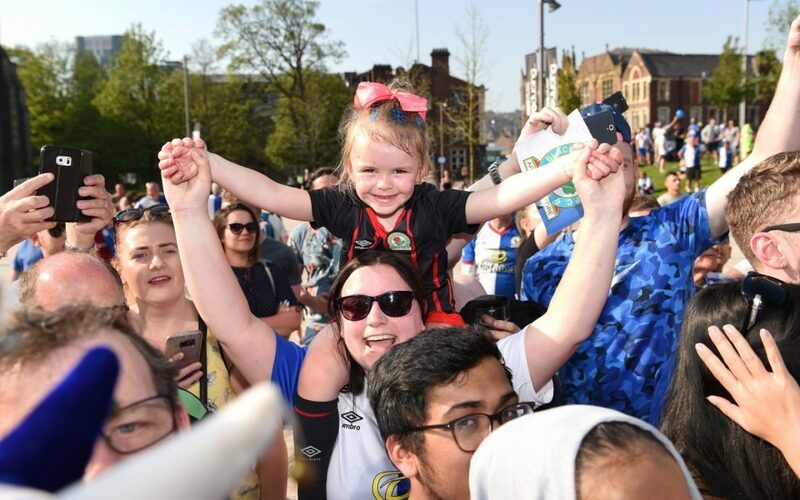 And the fans responded with thousands lining the space outside One Cathedral Square on a sunny Bank Holiday Monday, May 7, to greet their heroes. 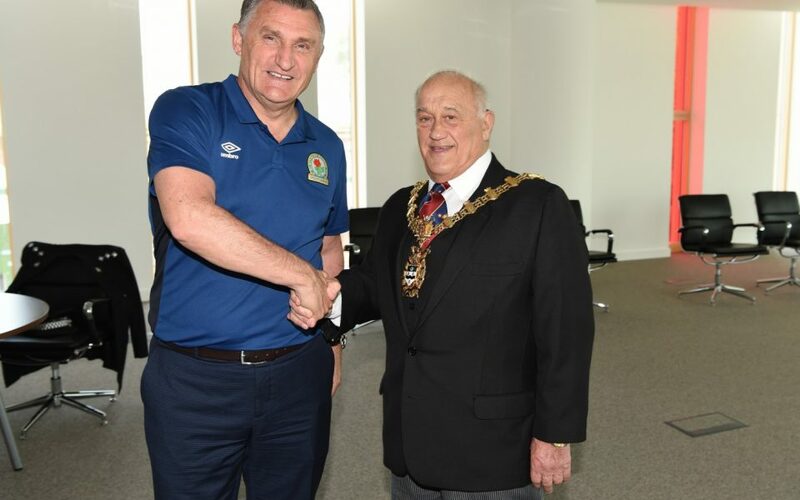 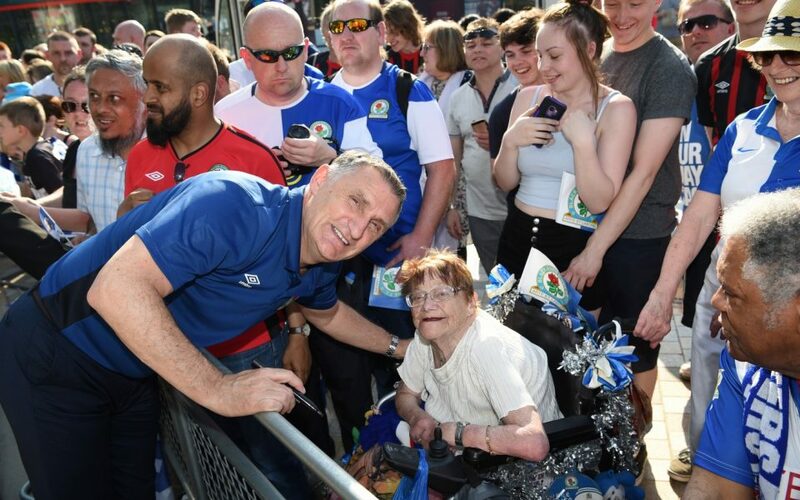 At just after 4.30pm the Mayor of Blackburn with Darwen, Councillor Colin Rigby, welcomed the first team squad along with Manager Tony Mowbray and his staff out on to the balcony of One Cathedral Square to celebrate in style. 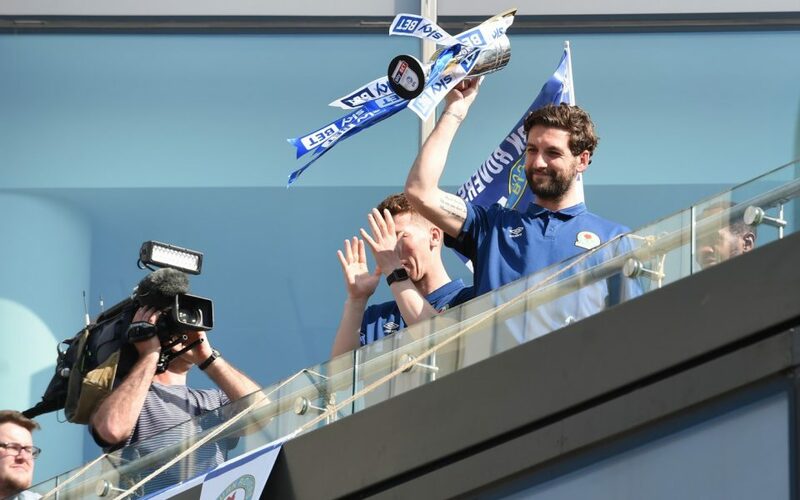 BBC Radio Lancashire’s Andy Bayes compered the event, with most of the first team getting the chance to address the crowd as other players uncorked champagne in celebration. 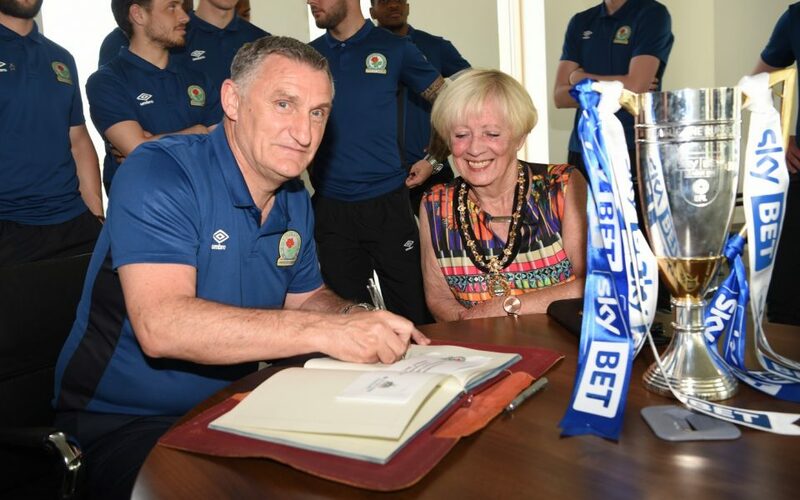 Blackburn Rovers is a vital and treasured part of our community. 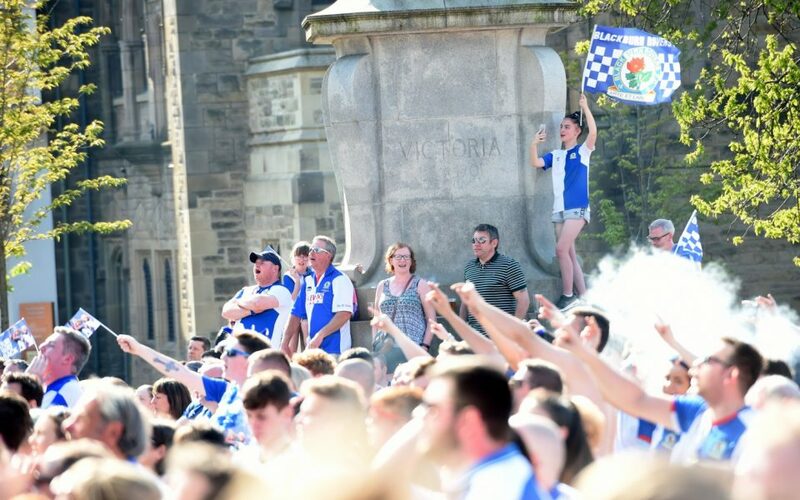 If the team is doing well the town is doing well and that feel-good factor is very much on display here today. 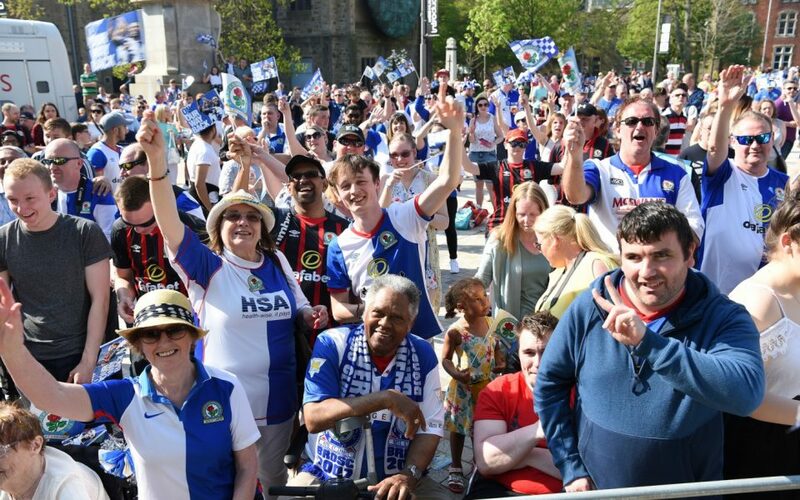 We’re already looking forward to next season and will be backing the team all the way. 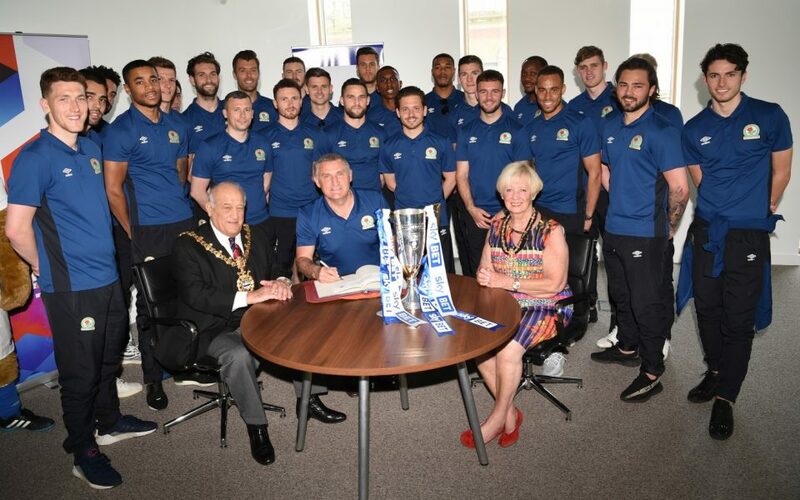 The Club are both honoured and delighted that the Council invited us to a Civic Reception to celebrate our promotion back to The Championship at the first attempt. 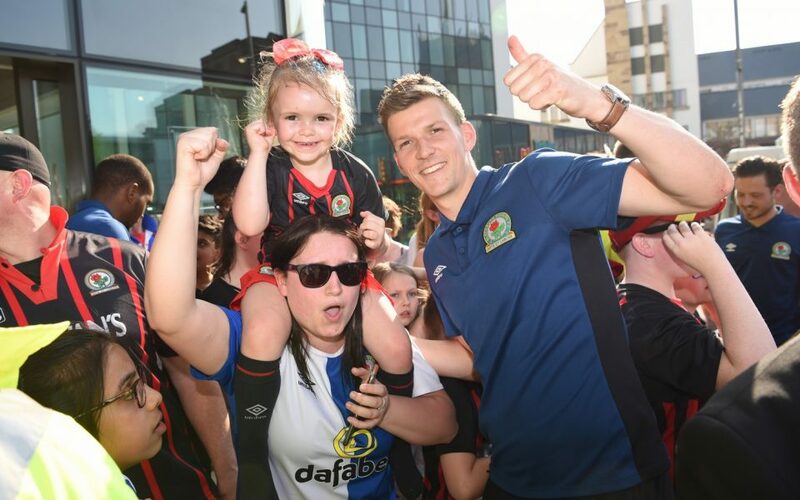 Gaining promotion is always a special achievement and something that needs to be shared with all connected with the Club.